High ceilings, red chequered table clothes, glass-topped tables, dark-panelled wooden showcases, and European chairs - Irani cafe has it all. Located in the busy and bustling Kalyani Nagar, The Irani Cafe is a place where new meets old, a balance between traditional and modern. Doodles on a section of the wall pay a tribute to all the old Irani cafés of the city. The top floor has a wall art that depicts what the cafe might look like to someone standing outside. This modern touch along with the traditional glass tables and wooden chairs is worth every minute spent here. As you enter the café, don’t forget to check the traditional Irani tea making machine. Oh, and there are some rules that you should follow when you visit the cafe. Talking about the food, they have everything - bun, broon, bread and toast, cakes, bakery items, chicken, mutton, and eggs. Anything and everything you would want from an Irani Café. Here is what we had: Veg Samosa – this single serving is perfect if you want something to munch on with your chai Masala Cheese Omelette and Bun Maska- the classic combination of melted cheese and buttered bun Chicken Kheema – perfect in terms of presentation, flavours, and taste The cafe is known for the biryanis, so if you are going for lunch or dinner, order one of those. And if you have a sweet tooth, then you must try their Lamington cake and the chocolate mocha. Overall, the food is reasonably priced and attracts a lot of youngsters looking for healthy but pocket-friendly breakfast options. And while the cafe can be pretty packed, the food served here is worth the wait. 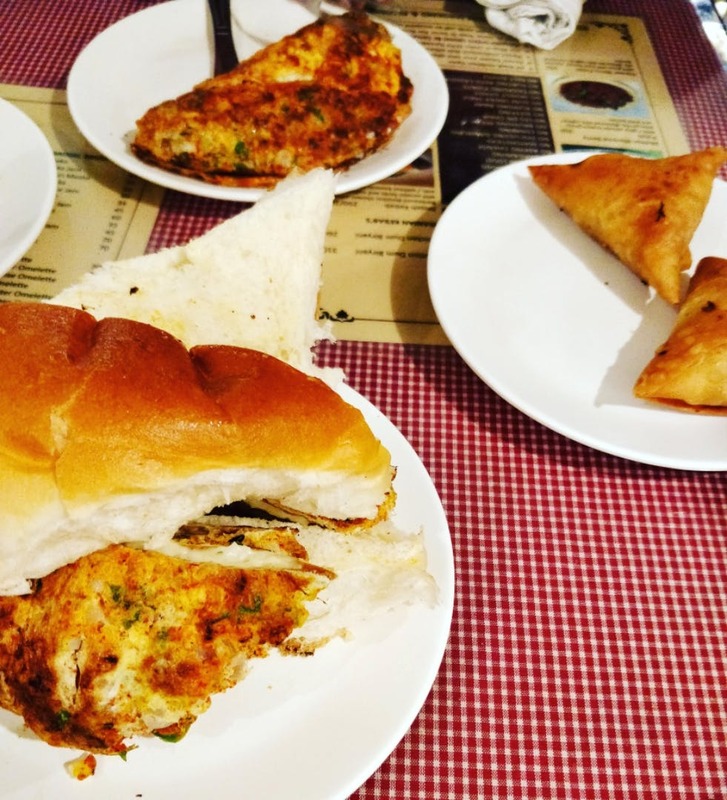 So, whether you are in for a scrumptious breakfast or a full-fledged meal, or just in the mood for some overloaded treat for bun maska and chai, you should definitely visit Irani Cafe.